Pedigree Original Mixer is a wholesome and easily digestible supplement, great for mixing with wet and dry foods for a palatable and multi-textured meal your dog is guaranteed to enjoy. The mixer contains nutritionally balanced ingredients to promote the health and vitality of your canine companion throughout it's life, with essential vitamins, minerals and omega fatty acids to support internal systems and enhance the condition of it's skin and coat. The crunchy texture of the mixer also makes it beneficial to teeth and gums, encouraging chewing and thereby promoting better digestion. Cereals (inlcuding 4% whole wheat), meat and animal derivatives, oils and fats, minerals, antioxidants. 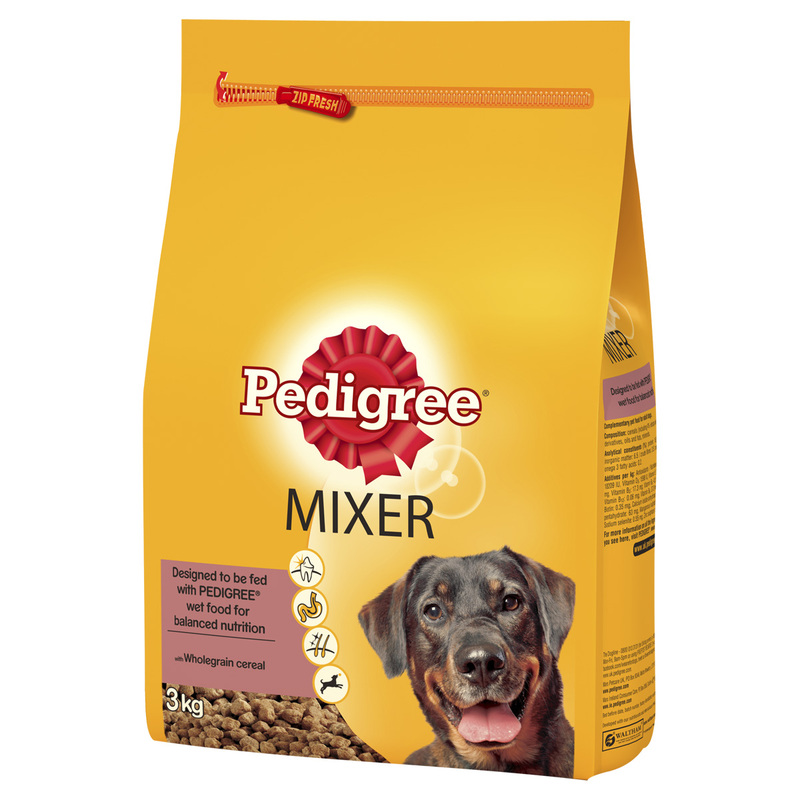 There are currently no questions for Pedigree Mixer Original Dog Food - be the first to ask one!